If you missed our first post about social media campaigns at SuperBowl 50, check it out here "Social Media Campaigns at SuperBowl 50". 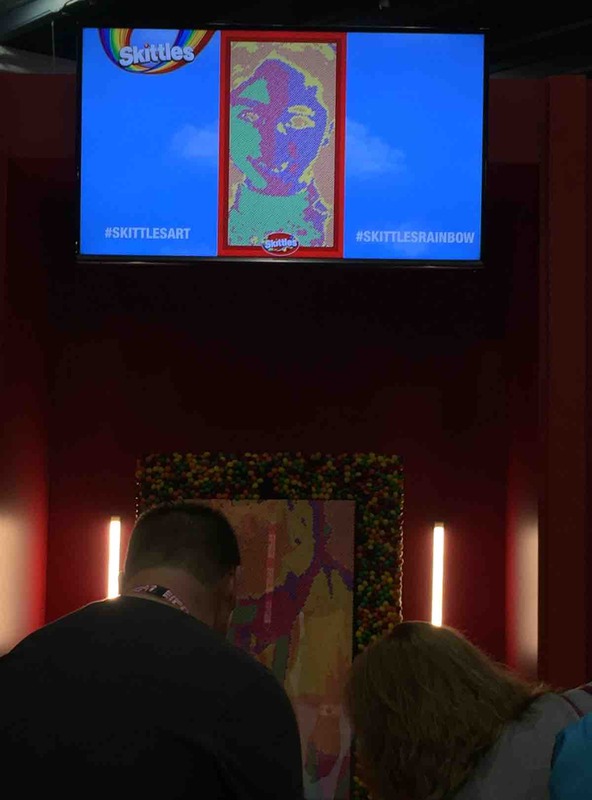 It was engaging, and we saw a good amount of people wanting to get their Skittles portraits. Of course, this was accompanied with the branded image, campaign hashtag, and the opportunity for the fan to share it on their social network. 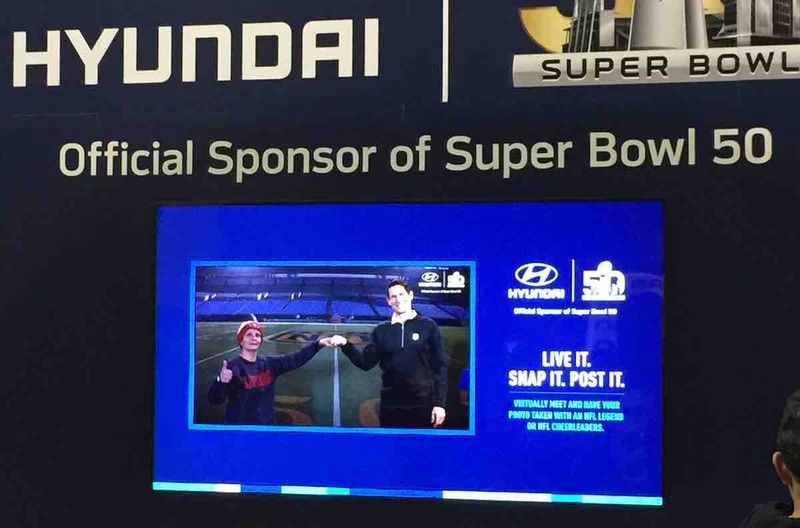 As seen with the other installations we talked about in our earlier post, activations are automatically creating unique branded content for fans to share to their friends. It's a great way to create a unique experience that fans are drawn to during the event, but also an opportunity to get your brand shared across social media. 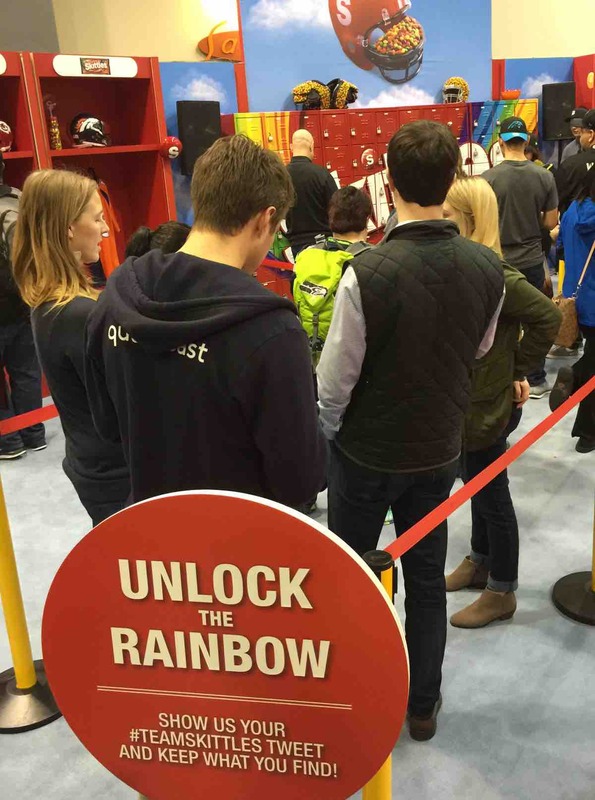 Skittles other promotion fell along the lines of a Tweet to Win activity, where you posted their TeamSkittles hashtag to have a chance at 'Unlocking the Rainbow". In this case, the fan had a chance to pick from a wall of lockers to unlock for what we assume was a nice prize. We didn't stick around long enough to see anyone actually walk away with anything great, but it was one of the longer lines at the expo, so people were certainly hoping to win! Unfortunately, we didn't take a picture of their 3rd activity, but it was basically a big box of Skittles. I believe the idea was you could take ( and of course share ) a picture as if you were swimming/bathing in Skittles. But in the brief amount of time we were there, the more common things we heard were 'Uh, that's gross', or 'Don't eat that!'. Interesting idea but didn't quite hit the mark. 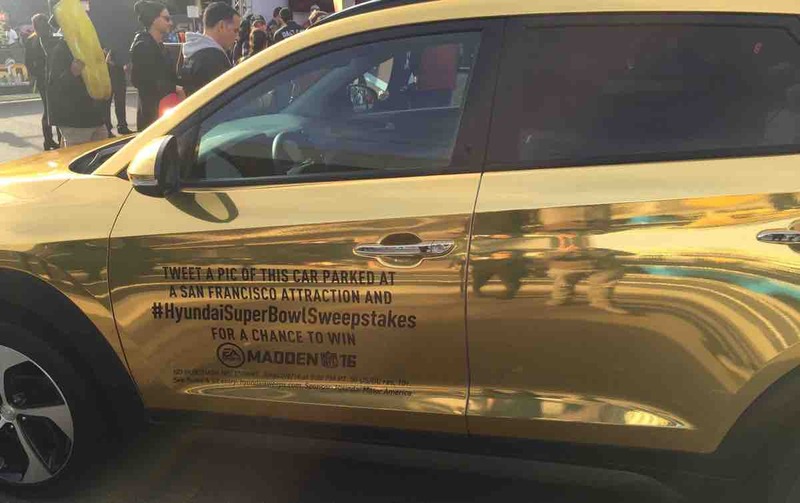 One of the major sponsors of SuperBowl 50 was Hyundai and they didn't disappoint with their branding moment, by having an entirely golden car with a Share to Win call to action. You couldn't miss the gold car when you walked into the expo. Not sure how many people will actually want to drive around in a gold car but it definitely does attract attention! Inside the expo, Hyundai had another booth which was an interesting mix of video technology and social media. They had a video background that projected a famous NFL celebrity and had you stand in as if they took the picture with you. I know, it seems fairly standard and cheesy, but some of the images I saw seemed pretty realistic at a quick glance. I'm sure it was realistic enough for most people to want to share across their social network, and of course the final image had Hyundai's branding and campaign hashtag overlay-ed on top. 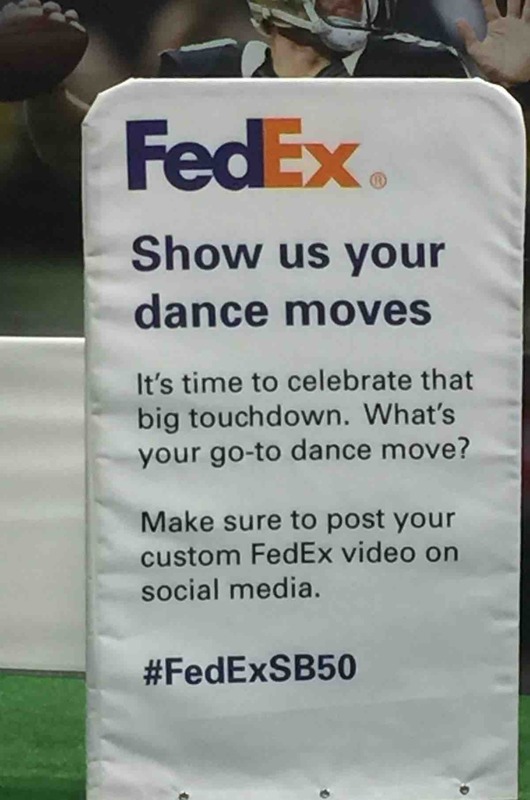 Another example of brands catering to video was Fedex's booth which encouraged fans to give their best NFL touchdown dance. This was filmed and of course shared across social media with branding elements. With Papa John's pizza tossing video experience, this use of video and sharing was definitely a popular technique being used by a lot of the brands during SuperBowl 50. You have an opportunity to create and capture a unique experience, and it's an easy win with short video exploding across Snapchat, Instagram, and Vine. Healthcare giant Kaiser Permanente also represented itself well with a campaign driving people to a healthier lifestyle. In sync with Kaiser's overall message of preventative healthcare and healthy living, they had an activation specifically designed to measure your overall health through some quick treadmill/fitness work. Timely and perfectly suited for a sporting event. And finally, Bridgestone had a nice setup with a mini NFL training field. Allowing fans to run through a course as if they were an NFL running back. Phew! That was a big roundup of campaigns. So what were some of our general impressions as we wrap up our look at some of the social media campaigns during the festivities at SuperBowl 50? Tell us what you think. What trend or technique looked especially interesting or engaging?